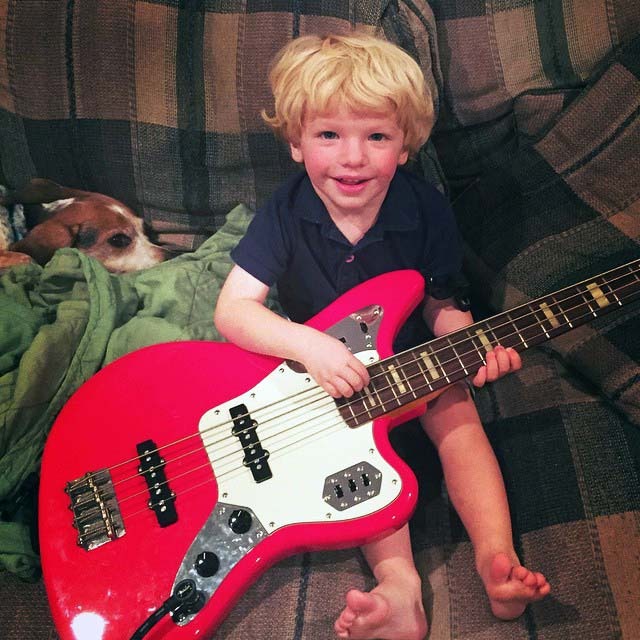 This is Jonah; he likes dogs and guitars, but mostly he likes his Grammy’s meatloaf! Unfortunately he lives in Utah and his Grandpa and Grammy (my brother and sister-in-law) live in Ohio so Jonah doesn’t get Grammy’s meatloaf as often as he’d like. Jonah was quite upset recently as he Face-Timed with Grammy and saw that she was making meatloaf, and he couldn’t have any. It simply didn’t make sense to this three-year-old that he couldn’t get in the car and drive to Grammy and Grandpa’s for dinner. Of course we all laugh at his sweet mistake, and we excuse it, after all, he’s only three. I recall struggling with things as a child, I’m sure you do to. I remember being corrected when I confused colors; and I remember confusing cherries and strawberries. Jonah’s error didn’t change the truth that his Grammy made meatloaf, not chicken. Her meatloaf will always be meatloaf, and no matter how often Jonah might call it chicken, that doesn’t change the content of the meatloaf. Some things are immutable – they just don’t change. Red will never be blue. Strawberries will never be cherries. And Grammy’s meatloaf will always be ground beef. More importantly, God doesn’t change. Because God doesn’t change, His Word doesn’t change and the Gospel of Salvation doesn’t change. Because God doesn’t change, any new gospel that contradicts or adds to God’s Word is a false gospel. Simply calling something “the gospel” doesn’t make it The Gospel; beef can’t become chicken. If God was a God who changed his mind, or who made promises that he didn’t keep, we would have no solid ground on which to stand; we would have nothing stable in which to place our faith. Red could become blue. In God’s immutability, he is also perfect. He never makes mistakes that he must later correct. If he did, we would not know if the truths we hold today would still be true tomorrow. Strawberries could become cherries. When you trust in the one and only Son of God, the Lord Jesus Christ, for your salvation, you don’t need to add anything else. Adding something – anything — causes the true Gospel to become a false gospel. If there was anything that we needed to add, God would have told us. He didn’t. He told us that the only way to eternal life, the only way to heaven is through Jesus. You can stand on that truth and that truth alone. Are you atanding on the truth that your salvation is secured by the grace of God alone, through faith alone, in the one and only Son of God alone? Grandchildren are such a blessing. We can have the most ordinary experience turn into such a God moment. As Art Linkletter said, “Kids can say the funniest things! !” Marcia, great post by connecting this with God never changing!!! He is the Rock on which to build our foundation!!! 😉 God always gives me something to say! What a creative comparison on God and His Written Word being Immutable. Jonah and the Big Meatloaf was a fun title for this Interesting devotional. I love the scripture passages you chose! My grammy fixed the best friend chicken and I had NO DOUBT about the quality and taste of it and that she made it with love for me. God is even more trustworthy than my grammy because HE is the same yesterday, today, and forever. Oh if we could trust HIM more with the with the same steadfastness that we trust our grammy how happy HE would be.